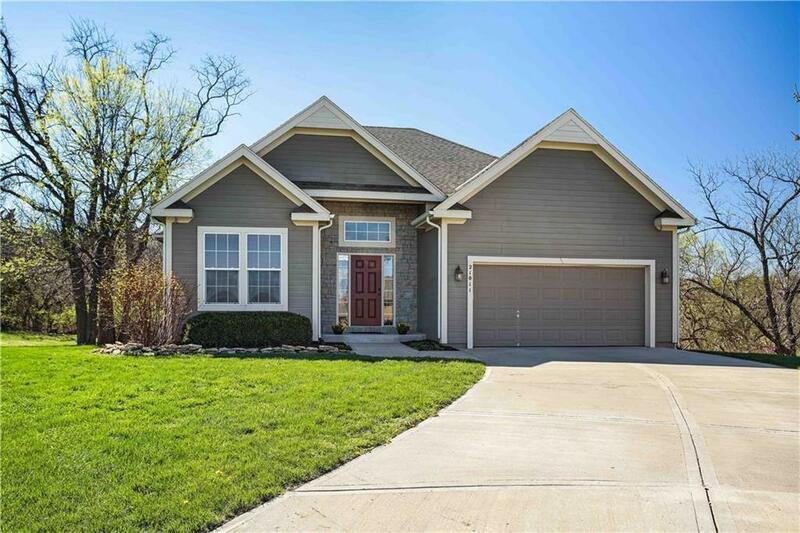 Super Shawnee reverse 1 1/2 story home on a great cul-de-sac lot that backs to the woods. This home has so much to offer in space as well as decor. Main floor master bedroom and bath as well as second bedroom and bath on the main level. The lower level has 2 additional bedrooms as well as a full bath and family room space as well as a great work station for home office, crafts, or computer setup. Great highway access to 435 at Shawnee Mission Parkway and only blocks to access the Streamway Park System. Directions: Shawnee Mission Parkway to Woodland (Martindale) and then South to 71st then right to Woodland Dr. then left (South) on Millbrook St. to 72nd Street and then right to the end of the subdivision.